00-05 | Resonancia Magnética | El Portal de e-Learning | Una introducción crítica y revisada por pares | © 2016 TRTF/EMRF | Reseñas del Libro. 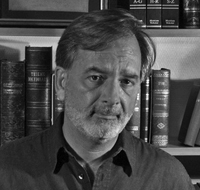 Con contribuciones de Atle Bjørnerud, Patricia de Francisco, Jürgen Hennig, Richard A. Jones, Jørn Kværness, Robert N. Muller, Timothy Southon y Geir Torheim. Quinta Edición. Publicada por ABW Wissenschaftsverlag. Berlín, Alemania. Marzo 2003. ISBN 3-936072-12-4. Precio aprox. €/US$ 128.00 (dependiendo del país de venta). l libro ha recibido reseñas sobresalientes en la mayoría de las revistas ci­en­tí­fi­cas. Estas reseñas fueron incentivo para que continuáramos con el pro­yec­to y tratáramos de mejorarlo aún más. Las reseñas a continuación se refieren a las ediciones (impresas) 4ª o 5ª en ing­lés. Algunos de los puntos criticados por quienes realizaron las reseñas ya han sido cambiados en la 5ª edición. La 9ª edición (esta edición web) se ha revisado y pues­to al día una vez más. 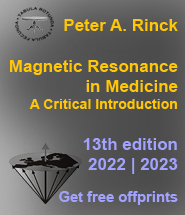 his excellent primer, which addresses theory and applications of magnetic resonance (MR) imaging and spectroscopy, is targeted at medical students, residents, technologists, and clinicians seeking an introductory MR resource. As noted in the foreword, a comprehensive or exhaustive treatment of the subject was not attempted. Nevertheless, remarkably little important material has been omitted, and, consequently, the editor and contributors have succeeded in their stated intention "to lead the readers to a fundamental understanding to be able to explore the details and new developments by themselves." Marvelous tools for achieving such understanding are provided by an accompanying software CD-ROM, which contains MR Image Expert, an imaging simulator, and Dynalize, a program that illustrates the analysis of dynamic MR studies. 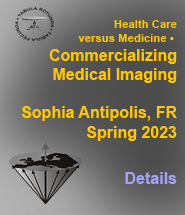 The book is organized into 19 chapters, which, in addition to addressing the expected fundamentals, include such advanced topics as contrast-enhanced dynamic imaging, three-dimensional image processing, and unconventional contrast agents. Interspersed within the chapters are 16 suggested software tutorials, each appropriately placed immediately following the corresponding explanatory text. In addition, there are eight brief "interludes" intercalated throughout the book that provide historic perspectives and tongue-in-cheek commentaries on such topics as MR acronym profusion, the optimal field-strength controversy, and How to Purchase an MR Machine—A Guide in Ten Easy Lessons. The final chapter includes a general description of the included software, installation instructions, and license agreements. An index concludes the book. This fourth edition represents a substantial overhaul of its predecessor, including expanded content (seven new chapters), a larger page format, and color figures. Existing chapters were also expanded; for example, newer MR contrast agents (eg, blood pool imaging agents, ventilation agents, and molecular imaging agents) are addressed for the first time. The MR Image Expert and Dynalize software tutorials are also new to the fourth edition. The many strengths of this fine text commend it to a wide readership. The order of presented material is logical, and the clear prose is complemented by many exemplary full-color illustrations. The data files included with the CD-ROM are extraordinarily realistic simulations of commonly encountered brain, spine, knee, and breast MR images. Most images depict normal anatomy; however, several abnormalities are included among the brain images. The two application programs are easy to learn and use. Juxtaposition of suggested computer exercises immediately following presented textual theory reinforces concepts by offering a hands-on learning experience. In comparison with laboratory tutorials that require an actual MR imager, the simulations offer the advantages of convenience, instant results, and the opportunity to explore parameters (eg, gadolinium dose and lesion enhancement) and artifacts (eg, radiofrequency feed-through) that would otherwise be impractical to recreate. There are few weaknesses of the text. One useful feature of the previous (third) edition was a glossary of terms, including MR sequence acronyms and Greek symbols, along with complete definitions. Unfortunately, a similar glossary has not been included in the present edition; however, a table of sequence acronyms and their spelled-out names can be found in chapter 8, Rapid Imaging. 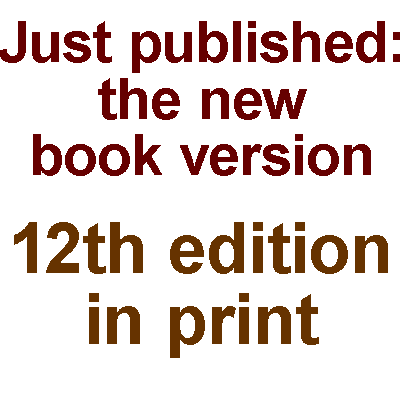 The software accompanying the book is available only in a PC-compatible format. Also, two software features described in the book were inadvertently omitted from the CD-ROM. The first is a demonstration of bit errors within the MR Image Expert program. The second omission is a data file exemplifying brain perfusion, intended for use with the Dynalize software. In summary, this book unquestionably fulfills the editor’s stated goal of explaining the complexities of MR imaging and spectroscopy to beginners. I found it to be one of the most lucid and best-illustrated introductory MR texts that has appeared to date. In consideration of the excellent included software package, it is also a bargain. he success of this well-known introductory textbook has prompted the authors to completely revise the last (third) edition published in 1993. 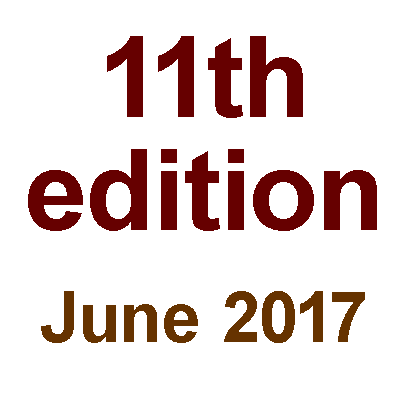 The content has been updated and a major facelift makes the book a very attractive entry text in the field. Tables and illustrations have been restyled using colours, and the overall page size has been enlarged to conform to the standard European A4 format, allowing for an uncluttered layout. New also is the addition of "MR Image Expert", an interactive leaming and teaching computer simulation programme for MR imaging, in particular to facilitate the understanding of MR image contrast formation as a function of the pulse sequence parameters such as TR, TE, TI and the flip angle, and the influence of contrast agents, for SE and GE sequences. "Dynalize" is a second software tool included for the presentation and analysis of dynamic contrast-enhanced MR imaging studies. These software programmes, which run on PCs under Windows, are delivered on an accompanying CD. The installation is straightforward and the simulations run flawless. For the few who may not happen to know this book or the many who have one of the former editions, the contents and the updates of this new edition are organized as follows: After some introductory fundamentals, the nuclear magnetic resonance basic principles and the associated instrumentation, separate chapters cover relaxation and the basic pulse sequences, spectroscopy and image formation principles (slice selection and encoding). A new chapter has been added on image data transformation which focusses on k-space, and the corresponding demo in the MR Image Expert software illustrates the relation between k-space filling and image quality. The chapter on image quality includes accelerated image acquisition by k-space manipulation. The concepts discussed in the Fundamentals of Image Characteristics (e.g. signal-to-noise ratio and windowing) are appropriately demonstrated in the software simulation. The key chapter on image contrast is equally well supported by the MR Image Expert simulations which illustrate the influence of the image acquisition parameters, sequences and special techniques such as short tau inversion recovery and fluid-attenuated inversion recovery on the image contrast. 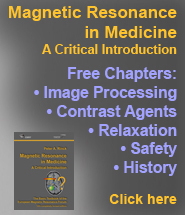 The chapter on contrast agents has been updated to include newer techniques such as bloodpool agents and molecular imaging. Cardiac MRI is a new topic in the chapter on MR angiography. New sections have been added on image processing and visualization (segmentation, 3D visualization) and on dynamic imaging (breast, brain and heart CE MRI) with the support of the Dynalize software. The book concludes with its traditional chapters on artefacts and on safety of patients and personnel. 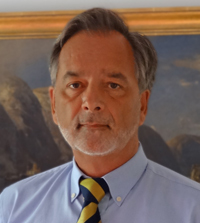 A concluding "finale" puts MR in the European perspective, to reflect the roots of the book and its contributors, in the European Magnetic Resonance Forum, a foundation which promotes MR teaching and education among the European MR community. There are inevitably some minor criticisms. Why impose on the readers the notation 1,000 for thousand, while the ISO recommends to use the comma as the decimal marker? Also, liquid nitrogen dewars in superconducting magnets have been replaced with cryoshields for many years. In the lower left part of Table 5-1, the typesetter has put all symbols in an almost unreadable size. 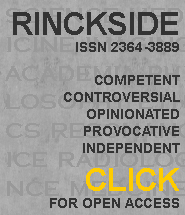 These minor criticisms should in no way detract the reader from acquiring this outstanding book intended as a basic teaching course with an excellent well-proven didactical approach, suited for technicians, scientists and physicians. Not only the content but also the layout and the judicious use of colour and simple graphs, as well as the illustrative simulation software, add to the attractive price/quality ratio of this new edition. Review by Claudia Hillenbrand, Ph.D.
he text has been written in such a way that newcomers to the field will be provided with the concepts, explanations and illustrations, necessary to master the basics of magnetic resonance in medicine”. 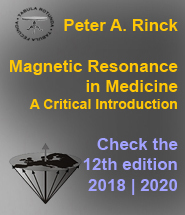 This is the primary goal of author Peter A. Rinck stated in the foreword of his textbook Magnetic Resonance in Medicine, a book that serves as the primary textbook of the European Magnetic Resonance Forum, an organization with the mission to organize continuing education meetings on MR imaging and spectroscopy in medicine. (iii) providing two interactive software tools, MR Imaging Expert and Dynalize, and a sufficient amount of example data sets from volunteers and patients to allow the interested reader to playfully explore important aspects of MR imaging, e.g. the establishment of a certain image contrast as a function of the underlying sequence parameters via computer simulations. Hence, the book can especially be recommended for technologists, medical students, residents, and clinicians who are starting to work in the field of MRI and MRS, but also offers information to a wider audience, which would include engineering and basic science students and professionals interested in obtaining an introduction to MRI. The book is organized into 19 chapters, which are framed by an informative historical “prelude” and “finale” describing “MRI from an European Perspective”. Six entertaining and, as the author stated, subjective and critical “interludes” on topics such as “The Slow Life of Clinical Spectroscopy” or the already classic “How to Purchase an MR Machine—A Guide in Ten Easy Lessons” are garnishing the book delightfully. The foundations for MR are laid out in the first three chapters. Chapter 1 deals with basic terminology such magnetism, electricity, characteristics of the received signal, and also briefly touches the Fourier transform. 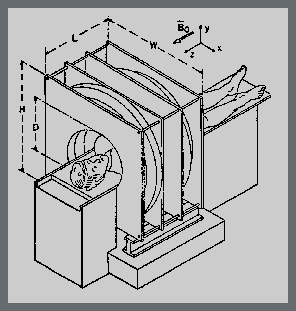 The basics of the magnetic resonance effect are laid out in Chapter 2. In this chapter the reader can experience for the first time how the author uses very nice analogies to guide the reader through complex or abstract facts: for example the sound wave originated by a single and two bells of different sizes is used as an analogue for the FID of one or two chemical components. On top of that, the accompanying drawings are much clearer than words ever can be. Chapter 3 explains the main components of MR scanners and their function. Chapters 4 through 7 cover the basics of image and spectra formation. 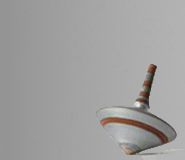 T1- and T2-relaxation as well as basic measurement techniques to determine these parameters, based on saturation recovery, inversion recovery, and spin echo experiments, are explained in chapter 4. Chapter 5 treats MR spectroscopy: the nuclei and basic techniques suitable for MRS in human in vivo are introduced. Image formation principles, including slice selection, and phase and frequency encoding are explained comprehensively and in detail in chapter 6 with the help of many illustrations. The introduction of k-space in chapter 7 is an excellent example of the synergy the author achieved with his text explanations, figures, and the interactive examples provided by the computer program MR Imaging Expert in order to illustrate the relation between k-space filling and residual image quality. The following four chapters deal with advanced imaging and contrast topics. 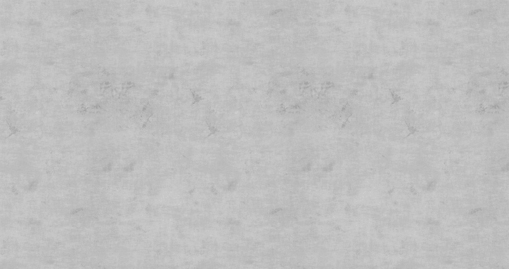 Basic fast imaging techniques are covered in chapter 8. Chapter 9 describes in detail fundamentals of image characteristics like signal to noise, contrast to noise, and parameters influencing the relaxation process such as age and temperature. Chapter 10 lays out the contrast behavior and dependency of contrast factors. Again, MR Image Expert complements the text and tables very well. In particular, the tables provided in this chapter make excellent “cheatsheets” for quick reference. 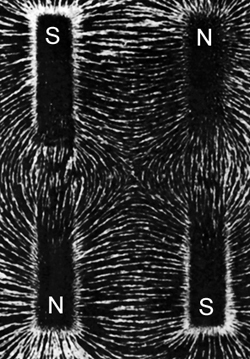 Advanced contrast manipulation and preparation techniques, like magnetization transfer, diffusion, and BOLD imaging are topic of the following chapter (11). In the next two chapters (12 & 13), the fundamentals of contrast agents are briefly introduced, followed by a general overview of contrast agents currently used in clinical and experimental investigations including blood pool agents, hyperpolarized gases, targeted agents for molecular imaging, and their underlying contrast mechanism. Chapter 14 concentrates on MR angiography and cardiac imaging including contrast enhanced techniques. Dynamic contrast enhanced studies (ch. 16), e.g. for brain, heart, and breast imaging, follow a chapter on image processing and visualization techniques (ch. 15). The second included software program Dynalize and an example data set from a breast cancer study is used to illustrate and analyze contrast dynamics, and even allows to calculate enhancement parameter maps. The final chapters of the book are devoted to the origin, manifestation and remedy of common imaging artifacts (ch. 17) and safety of patient and personnel (ch. 18). The book concludes with a short software description, installation notes and license agreement (chapter 19). There are a few weak points in the textbook along with some typographical errors, e.g. the gradient and signal objects in figure 8-3 are misaligned. Furthermore, although a detailed reference list was provided at the end of basically each chapter, one very fundamental reference was missing in chapter 4 and may be added in a future revised edition: E. Hahn’s famous work on the formation of spin echoes (Phys Rev 80 (1950): 580-594). One link in the book leads to a missing software feature (demonstration of bit errors as part of MR Image Expert), another link refers to a sample data set (DCE brain data set for Dynalize) that does not exist on the accompanying CD-ROM. Overall, the author succeeded in delivering an introductory MR book: the information provided is complete and accurate, the illustrations are appealing and informative, the tables are compact and useful, and the additional software has a high value of its own. Reviewed by Claudia Hillenbrand, Ph.D.
Review by Cupido Daniels, Ph.D.
his text, which has subsequently been replaced by the 2003 Fifth Edition, is by far the best treatise of MRI at it's basic level. It contains numerous colour illustrations, often supplemented by clinical images, to illustrate the rather confusing physical principles of MRI. Included in the book is a CD-ROM containing two useful software programs. The one, MR Expert, is an MRI simulator, where, using real clinical images, one can change image parameters and immediately see the effect on the clinical image, and the raw data in k-space. As a professor of radiology who teaches MRI Physics to radiology residents, I often use this text and the included software programs to demonstrate the complex world of MRI physics. Every radiology resident interested in understanding the basics of MRI physics should have one (insist on the latest version though - currently the 5th edition of 2003).